ROSTOV-ON-DON, August 3. /TASS/. The family of Russian pilot Konstantin Yaroshenko, who is serving his 20-year sentence in an American prison in the city of Danbury, Connecticut, will not be able to visit him this summer, ahead of his daughter’s school year, and the trip was postponed, the pilot’s wife, Viktoria, told TASS. The pilot’s family, who lives in Rostov-on-Don, have not seen him for about seven years. "We’ve been waiting for the visas, but now we have no time to fly to America; it will be September soon (the start of the daughter’s school year - TASS). We were ready to fly in late July, but unfortunately we failed to find an opportunity. Now we have no opportunity to fly now. I don’t know when we will fly, it’s hard to make any plans," she said. The visa is valid for one year, but it is single entry, Viktoria said. She added that the pilot is still not receiving the medical help he needs in prison. The pilot’s wife earlier said that her husband was suffering from severe dental problems, which he had developed after being tortured in Liberia. Later, an official from the Russian Embassy in the US reported that Russian diplomats demanded that US authorities take measures to provide medical help to Yaroshenko. According to earlier reports, Yaroshenko asked his lawyer to address the federal prosecutors, asking to give him his personal belongings, with which he was arrested in Liberia. "There are many family materials there; hard disks and photos were confiscated," Viktoria said. There has been no response yet, lawyer Alexei Tarasov said. Russian Human Rights Commissioner Tatyana Moskalkova earlier said that she would try to seek out a pardon for Yaroshenko in the run-up to the July 16 meeting between Russian President Vladimir Putin and his US counterpart Donald Trump in Helsinki in response to the pilot’s letter where he complained of torture and bad prison conditions in the US penitentiary. Yaroshenko was sentenced to 20 years behind bars in the US on September 7, 2011. He pled not guilty and believes that his arrest was a setup, and that his case was fabricated. The pilot was whisked off to the US from Liberia, where he had been arrested on May 28, 2010. US undercover agents from the Drug Enforcement Administration allegedly found Yaroshenko guilty of intending to smuggle a large batch of cocaine. Until recently, Yaroshenko had been kept in the Federal Correctional Institution (Fort Dix), including one month spent in a solitary confinement cell. In mid-June, he was first transferred to a transit prison in the New York City borough of Brooklyn and then to a correctional facility in Danbury, Connecticut, which can hold more than 1,400 prisoners. 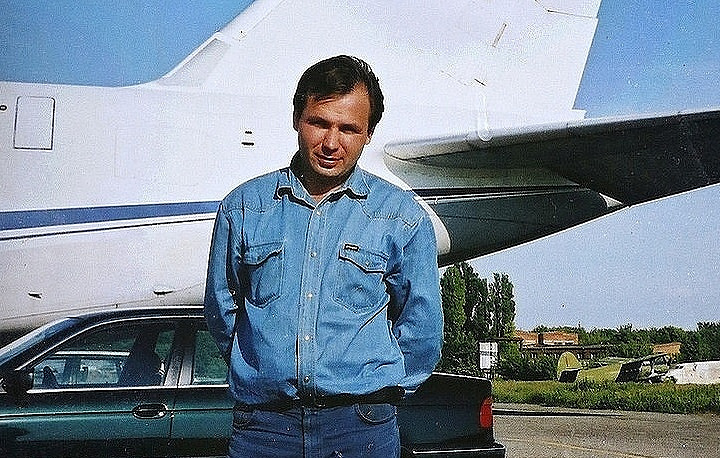 Official representatives for Russia’s authorities and the pilot’s family repeatedly addressed the US authorities, asking to transfer Yaroshenko to the Russian side.